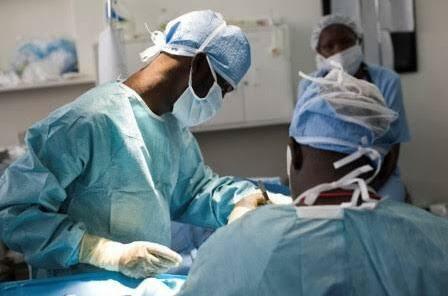 The Nigeria Medical Association, NMA, in Ogun says the state has the highest number of quacks in the country. The Chairman of the association in the state, Abayomi Olajide, said this on Tuesday at the group’s Annual General Meeting and Scientific Conference in Abeokuta. He expressed sadness that in spite of the rigorous campaign against quackery, the scourge had continued to plague the profession. According to him, some members of the association are equally guilty of engaging quacks. “The war started in Lagos where many facilities were shut down and people started moving toward Ogun State. “Perhaps, we (Ogun) should be ranked highest nationally as the state that harbours quacks. Maybe, it is because of our proximity to Lagos. “From what we have seen, there are a lot of them that are thriving within the society,” he said. Mr. Olajide, who acknowledged the efforts of the state government through its monitoring team, advocated for a task force which would shut down illegal health facilities. In his address, Emeritus Professor of Medicine, Theophilus Ogunlesi, said the war against quacks ought to have been won a long time ago. He said governments and stakeholders, however, did not approach it with serious intent. Adegboyega Ogunwale, a Consultant Psychiatrist at the Neuropsychiatric Hospital, Aro, Abeokuta, in his lecture, blamed the resurgence of quacks on poor licence strategy, ignorance, poverty, illiteracy, lack of monitoring team and poor facilities. Mr. Ogunwale said prompt resolution of industrial disputes and adequate investment in the health sector as well as diligent prosecution of offenders would help in stamping out quackery. Rotimi Ogungbe, a Consultant on Health to the Ogun government, assured medical practitioners of government’s commitment to the fight against quackery. He, however, challenged the association to “name and shame” quacks among its members and also ensure that medical practitioners improve on quality of service delivery.